At DeniaIs Managment Inc., we are just as passionate about people having access to affordable health insurance, as we are holding insurance companies accountable to their policyholders and fighting to ensure that insurance companies are operating their business in a moral and ethical manner. Around this time of year, our healthcare advocates are asked lots of questions about insurance options, and specifically about what type of health insurance to select during open enrollment. While all decisions about your healthcare coverage are personal, we can answer some of the most common questions about open enrollment. “Open enrollment” is a designated period during which anyone can enroll in a health care plan through the individual health insurance marketplace. 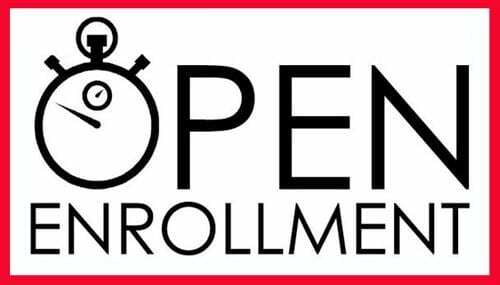 Open enrollment began on November 1, 2018, and will end on December 15, 2018, for plans that will become effective on January 1, 2019. Unless you have a qualifying life event (such as getting married, having a baby, or losing health coverage), open enrollment is the only time during the year that you can 1) enroll in a new insurance plan through the marketplace 2) update your existing marketplace plan 3) elect to keep your existing marketplace plan for the new year. Who is eligible to enroll in a health care plan during open enrollment? Any individual living in the United States legally—either as a U.S. citizen or a foreign national—who is not incarcerated, can apply for insurance during open enrollment. Where do I go to apply for open enrollment? Visit the Healthcare.gov website and either register as a new user or log in by using your existing account information. What do I need to have in order to apply for open enrollment? The Department of Health and Human Services has created a checklist, which is available at the following address: marketplace.cms.gov This checklist includes a complete list of documents you’ll need to complete your application. Why do I need to provide information about my household? Many individuals qualify for a tax credit, which helps subsidize the cost of your health insurance premiums. Information about your household and income are required in order for you to be provided with an accurate estimate. What kinds of plans are available on the exchange? Depending on your household income, you may qualify for a Medicaid or Children’s Health Insurance Program (CHIP) insurance plan. Otherwise, standard plans on the individual health insurance marketplace are ranked as “Bronze,” “Silver,” or “Gold” depending on the coverage offered. On the one hand, Bronze plans are the cheapest in terms of monthly premiums; however, they also have the highest out-of-pocket expenses. On the other hand, Gold plans are the most expensive in terms of monthly premiums; however, they provide more extensive coverage and will have lower out-of-pocket expenses. Silver plans are in the middle in terms of monthly premiums and out-of-pocket expenses. What things should I be looking for as I compare plans? Aside from the monthly premiums, standard plans also vary in terms of any deductibles, copays, coinsurance, out-of-pocket maximums, and provider networks. If you anticipate having an expensive surgery, you may want to pick a plan with a lower deductible and out-of-pocket maximum. By contrast, if you have a chronic condition that requires regular appointments with your primary care provider (PCP) or specialists, you may want to pick a plan that only requires a copay for office visits rather than requiring you to first meet your deductible. Alternatively, if you are young, healthy, and do not anticipate needing any kind of medical care, then you may want to consider a high deductible plan with very low monthly premiums. What resources are available to help me choose a plan? If you need assistance or have questions, you can call 1 (800) 318–2596, or visit localhelp.healthcare.gov to get free help from trained and registered insurance professions. Although open enrollment can be a stressful period full of overwhelming options, there are many resources available to help you navigate the process and obtain health care coverage for you and your loved ones. Looking ahead, don’t forget that getting health insurance is not the final step. Throughout the year, make the most of your coverage by taking advantage of any preventative care available to you, which is covered by most health insurance plans at 100%. In addition, as you use your health insurance, it is up to you to make sure that you are being treated fairly by your insurance company. If you suspect that you are not being treated fairly or if any of your health care treatment is denied, please contact our dedicated team of professional healthcare advocates, who can assist you with any insurance questions or issues that may arise. 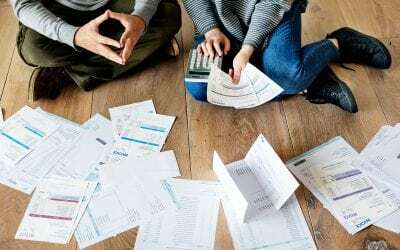 Balance Billing, What Is It and Why Does It Matter? What Would You Do If You Received a 80k Hospital Bill? A New Year, A New DMI! DMI is not a law office. We are trained healthcare advocates who provide assistance in connection with denied claims. No one at DMI is qualified to provide legal advice. It is every client’s responsibility to read their policy or plan document thoroughly. Questions about your legal rights and obligations should be directed to a qualified attorney. 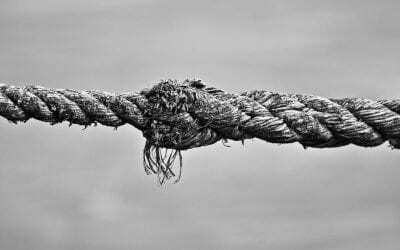 Failure to do so may result in a forfeiture of your rights, or a loss of your ability to successfully pursue your claim in litigation if your appeal of a denied claim is unsuccessful. Should you need an attorney referral, you may contact DMI or the American Bar Association in your state.